It was semi finals day in Hong Kong and it was full of drama! Neil Robertson must be the most hated man in Hong Kong at the moment as he beat the local hero, Marco Fu by 6-4 in the afternoon match. You can read the report on Worldsnooker here. 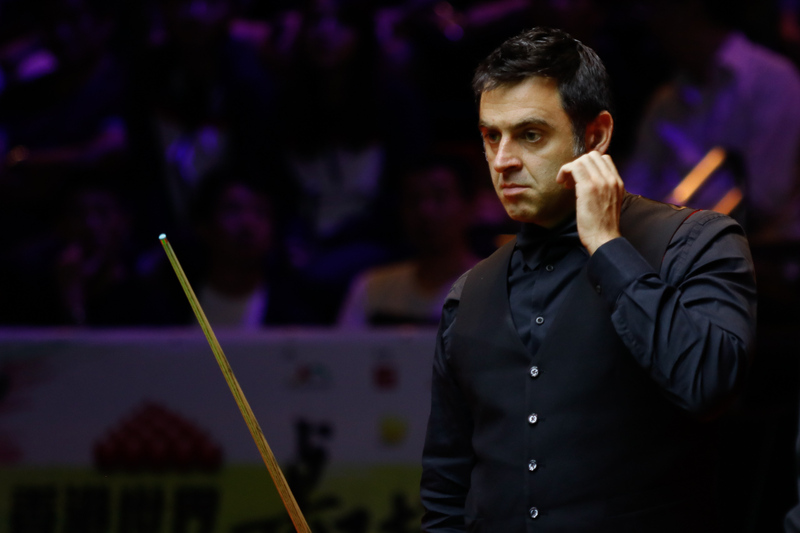 In the evening match, Ronnie beat Judd Trump in an absolute thriller! Ronnie O’Sullivan sealed a dramatic 6-5 win over Judd Trump on the final black to reach the final of the Hong Kong Masters. A pulsating clash between two snooker titans eventually went the Rocket’s way when he made a winning clearance in the deciding frame, having needed a snooker. He goes through to Sunday’s final at the invitation event to battle Neil Robertson for the trophy and £100,000 top prize. Five-time World Champion O’Sullivan took the opening frame on the colours then rattled in breaks of 128 and 85 to lead 3-0. Back came Trump with a spell of four frames in a row, highlighted by runs of 136 and 76, to go 4-3 ahead. O’Sullivan’s 87 restored parity then Trump regained the lead with a 54. The high scoring continued as O’Sullivan’s 126 made it 5-5. Both players had chances in the decider and Trump looked sure to win until he missed the penultimate red when leading by 46 points. O’Sullivan took red and black then trapped his opponent in a tough snooker. Trump missed the last red and left a free ball, and O’Sullivan punished him by clearing with 39 to clinch victory. “It was a crazy match and I thought I had lost,” said 42-year-old O’Sullivan, chasing his first title since the Masters in January. “I was going to concede when he went 46 ahead in the last frame, but I decided to give it a go and then got a good snooker which made it difficult for him. I made a good clearance because it’s never easy under pressure. I was really pleased that I held myself together. You have to try to let instinct take over in that situation. In fact, the balls were not exactly perfect: the green was stuck on the baulk cushion and not very close to the pocket either. That was going to be a difficult shot at the best of times, not to mention under the pressure of a deciding frame in a semi final! Also Ronnie had cleverly played for the pink from the free ball black: it was close to the brown (on its spot) and pink to black would have been difficult if it had stayed there. And some images, courtesy of Tai Chengzhe. Thanks Tai! Ronnie O'Sullivan – Judd Trump 2017 Hong Kong Masters from MUT 898 on Vimeo. I want to stress that the guys who brought that to us did an awsome job. The stream was awfull yesterday. Thank you guys! As I see VIU TV will show the final LIVE! I’m fairly confident he will. Last message should have said “thanks for all you do.” Predictive spelling always catches me out! and i started to my upload. I really don’t know when it will finish but when it is i’ll link it! Really appreciate your coverage here, live scores never give a real feel for the match. I do hope you can find a link, would love to see the last frame!